Snake (スネーク Sunēku) is a character from the Magic Kaito series. He is a codenamed agent in Magic Kaito's unnamed organization and the murderer of the first Kaitou Kid, Toichi Kuroba. Snake revealed himself to be the one who killed Toichi Kuroba eight years before the events of Magic Kaito. It seems that Toichi's death may have been mistaken for an accident, since Kaito was shocked to learn from Konosuke Jii that his father was murdered. Jii had told Kaito that he dressed as the Kid in an attempt to lure out Toichi's murderer, suggesting that he perhaps knows something of Snake or the organization he works with. Snake is searching for the Pandora Gem, which is said to grant immortality. 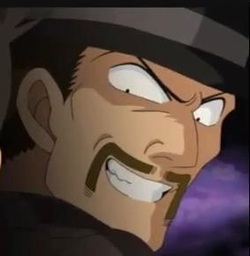 He also intends to kill the Kaitou Kid once and for all, to stop him from getting in the way of his plans. 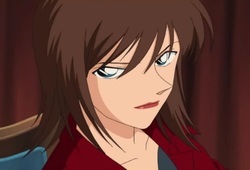 Rose (ローズ Rōzu) is a non-canon Magic Kaito Organization member that appears only in OVA 4: Conan, Kid, and the Crystal Mother. She has confidence in her sharpshooting skills, but she has never been shown in the act of actually firing a gun. She has attempted to assume a disguise, but that ended in failure. Spider (スパイダー Supaidā?) is an anime only character from the Magic Kaito series. He is a codenamed agent specializing in assassination in Magic Kaito's unnamed organization and works under the same person Snake works under. The aliases "Gunter Von Goldberg II" suggests a German descent, though nothing is yet confirmed. That said, he peppers his speech with English ("Ladies and Gentlemen") and appears to have a rivalry with Hakuba who has been living and doing detective works in Britain. This man, who has not yet been named, commands Snake and a group of underlings. He is a subordinate of the boss of the Magic Kaito Organization. He is, so far, the closest man to the Magic Kaito Organization Boss. His first appearance is at the mansion hideout where Snake returned with the gem Blue Birthday. He reveals to Snake (and Kaito Kid who had been listening in) that the goal of the Organization is to find the jewel in which Pandora is hidden. Pandora is a legendary jewel which, if exposed to moonlight on the night a certain comet passes over, would drop a tear which grants immortality to whomever drinks it. The Magic Kaito Boss is a character of unknown gender who is as mysterious as Anokata. This character is the boss of the Magic Kaito Organization. During a videochat with Snake and Spider, we can see that the boss wears gloves even when using his own PC. Also, the boss only contacts his subordinates via chat. He is not seen or heard by other members. 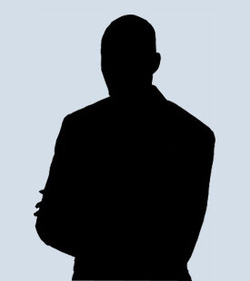 Almost nothing is known about this mysterious character. However, it must stated that the boss contacts other members via chat and that he gives orders not in Japanese, but in English.